If this were my workspace I would never leave. The artwork, chandelier, and chairs are heavenly. 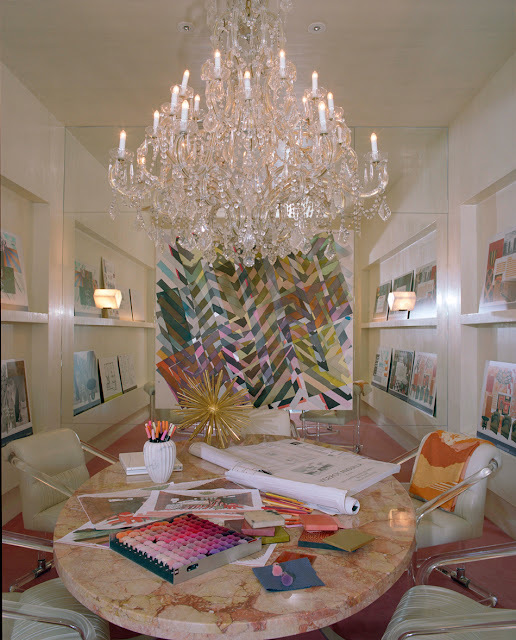 This is actually Kelly Wearstler's small conference room as seen on My Vibe My Life.